Hives or Urticaria is identified by the sudden appearance of itchy red bumps or skin welts. Hives are mainly caused due to an allergic reaction to food. Due to this allergic reaction, the body will release a protein named histamine, which in turn causes itching, redness, swelling, burning sensation in the feet, palms, and around the eyes, unpredictable and repetitive patterns and many other symptoms. Hives can be triggered by some other factors consisting of emotional stress, medicines, food additives, chemicals, latex, animal dander or insect bites, etc. Hive can also occur as you are exposed to cold water or get too hot on summer days. In fact, there’s no known cause of this condition. Hives are usefully harmless and disappear within several hours or days. 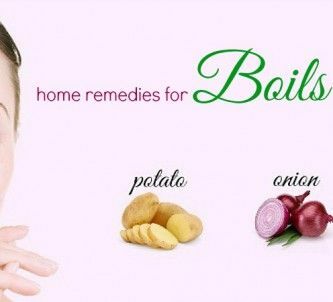 Fortunately, you can use some simple remedies to get immediate relief from the symptoms. These home remedies for hives will help to alleviate your symptoms and work as preventive measures as well.  To know more these remedies, continue to read this writing on EffectiveRemedies.com in the line of Home remedies. Treat hives quickly and naturally with these solutions mentioned below. Cold compresses are considered among the best topical home remedies for hives, according to most skin allergy specialists. It has the capacity to shrink the blood vessels. In addition, it prevents further release of histamine, which in turn eliminates swelling, itching and inflammation caused by hives. Prepare a clean cloth and take several ice cubes in it. Later place the cloth over your affected region for almost ten minutes. 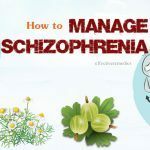 For positive and visible results, you need to try this remedy thrice each day. Taking a cold water bath is also a great idea because this will help to calm your skin. Don’t keep ice directly on the skin. Ginger not only treats a cold but also combats hives quickly. Take a small fresh ginger root piece and peel the skin off. Slightly dab the ginger onto your inflamed skin. You should do this method two or three times every day. Alternatively, you can boil brown sugar (¼ cup) with fresh ginger (1 tablespoon) in vinegar (3/4 cup) for several minutes. Then, mix a little of the solution with some warm water. After that, dab on your affected skin a few times in a day. Follow any of these simple remedies every day until your skin completely heals. Aloe vera gel is regarded as one of the awesome home remedies for hives. When taken internally, aloe vera stimulates the immune system and helps to flush out eliminate inflammatory toxins. When applied topically, aloe vera can eliminate redness, itching, and inflammation associated with hives thanks to its antimicrobial & anti-inflammatory properties. In addition, due to its glucomannans, aloe vera gel encourages the healing process. 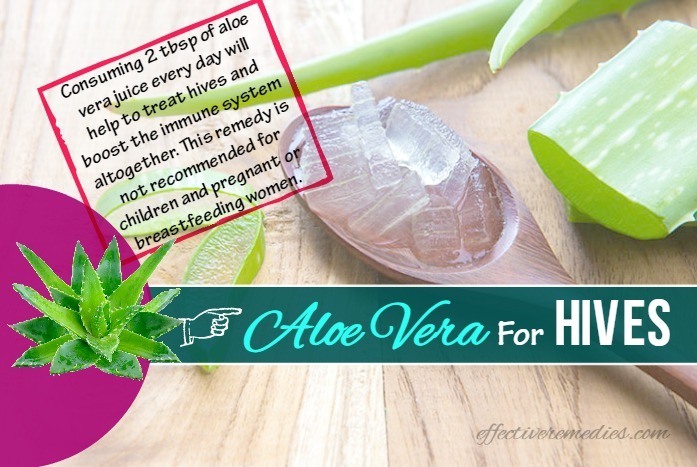 Consuming 2 tbsp of aloe vera juice every day will help to treat hives and boost the immune system altogether. 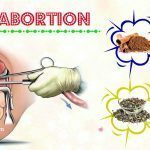 This remedy is not recommended for children and pregnant or breastfeeding women. Take a little of fresh aloe vera gel and apply to your affected skin. Leave the application on for fifteen minutes and finally rinse the gel off using lukewarm water. Following this treatment several times per day will heal the skin completely. The list of the amazing home remedies for hives is incomplete without including nettle. Herbalists recommend nettle as a great alternative treatment for hives. 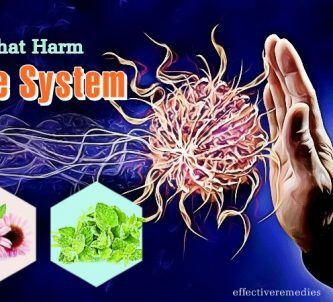 It has the capacity to alleviate inflammation, swelling, and itching caused by hives owing to its natural antihistamine, anti-inflammatory as well as astringent properties. The first step is adding dried nettle leaf (one tablespoon) to hot water (one cup). Later cover and steep for a gap of 12 and 15 minutes. After that, strain and add some honey to the mixture. Drinking this tea 2 or 3 times per day will improve your condition significantly. Another option is taking capsules of nettle daily. But before taking nettle capsules, you need to consult a doctor for the correct dosage. Are you seeking for the home remedies for hives? Then opt for this turmeric remedy instantly. Turmeric is well known for its ability to treat many skin ailments including hives. It can deal with hives effectively thanks to its anti-inflammatory, antihistamine and antioxidant features. Plus, a vital bioactive component housed in turmeric also makes it an effective to get rid of hives. For this remedy, you need to mix turmeric powder (one tsp) in hot milk or water (one glass). After that, consume this resultant mixture twice daily. Alternatively, you can use it in your cooking regularly. You can also take turmeric supplements but consult a doctor before taking it. You take some fresh basil leaves and crush them with the aid of your hand. Thereafter, apply the crushed basil leaves gently on the hives. Let them dry and use lukewarm water to rinse off your skin. 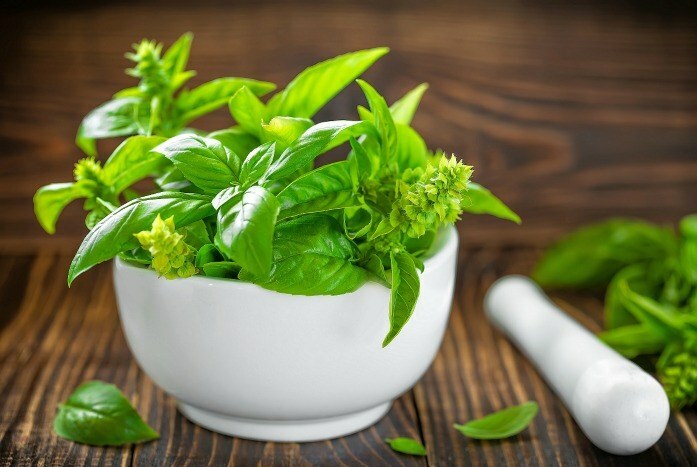 Alternatively, you put dried basil leaves (1 tablespoon) in a jar and to it, add some hot water. Then, cover the jar and let it cool. Use a cotton cloth to apply this mixture on your affected area. Follow either of these natural cures as many times as required for relief. For this remedy, you need to boil crushed mint leaves (1 teaspoon) together with sugar (2 teaspoons) in water (1 cup) for almost 6 minutes. After that, strain and let it cool. Finally, consume this solution once or twice each day. At first, steep freshly crushed mint leaves (2 teaspoons) in boiling water (1 cup) for around five minutes. Then, strain and put the resultant liquid in your refrigerator. After that, wash the inflamed & irritated skin with the aid of this cool mint water several times in a day. Coconut oil contains antimicrobial features that will give the skin protection from developing any fungal or bacterial infections. This oil also works as a good and natural skin moisturizer. Furthermore, it will eliminate the intense itching sensation caused by the hives. Therefore, this oil is also regarded among the potent home remedies for hives. Take a little of coconut oil and gently massage on your affected part. Leave this application on for a couple of hours. 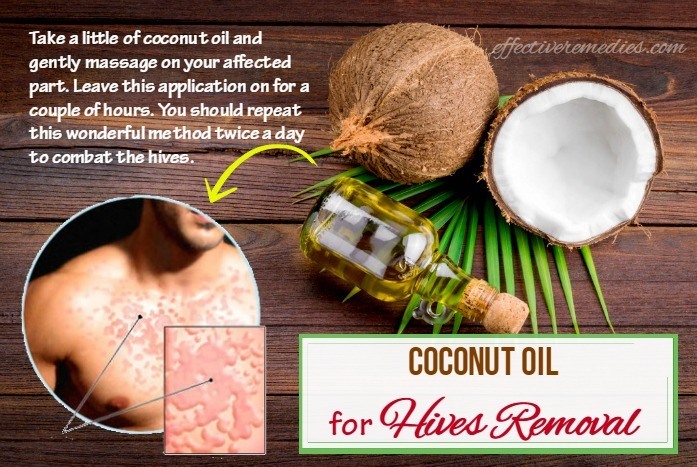 You should repeat this wonderful method twice a day to combat the hives. Don’t use refined coconut oil because it may make your hives worse. 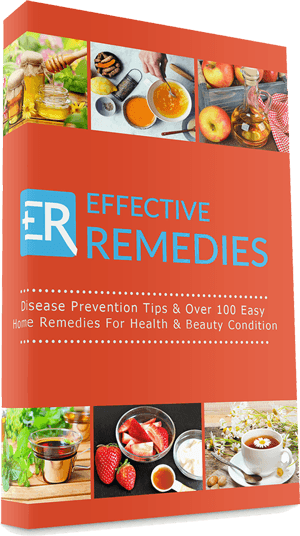 You should not neglect this remedy when looking for the natural home remedies for hives. This oil is effective at treating the hives thanks to the presence of antimicrobial & anti-inflammatory features. These will also help to soothe the skin, prevent infections, and ease the swelling as well. You need to prepare 1 cotton or bandage along with several drops of tea tree oil. After that, apply this prepared oil to your troubled area and use the bandage to cover the area. For larger areas, mix the essential oil (15-20 drops) in one cup of water. Thereafter, soak 1 washcloth in this mixture and now place on the affected part for several minutes. The procedure can be repeated around 4 to 5 times a day. Baking soda comes with anti-inflammatory qualities that aid in lowering inflammation and itching altogether. Apart from that, baking soda comprises the alkalinity, which soothes the skin well and lowers irritation and itching associated with hives. 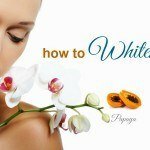 You’ll feel the skin soften after several applications. Prepare 1 small bowl and put baking soda (2 tablespoons) in the bowl. Then, you add enough water to get a thick paste and now spread this resultant paste on your affected region. Finally, rinse the application off with warm water after around ten minutes. Take a bathtub and fill it with warm water. Later add baking soda (around 1 cup) to the bathtub. Mix well and soak in the resulting water for around 20-30 minutes. It’s best to use either of these methods once daily. One of the good home remedies for hives is apple cider vinegar remedy. Apple cider vinegar has the capacity to regulate the immune system response of the body and alleviate inflammation fast because it consists of antihistamine properties. Additionally, apple cider vinegar also helps to restore your overall skin health. Take a bathtub and fill it with warm water at first. Then, add apple cider vinegar (two cups) to the bathtub. 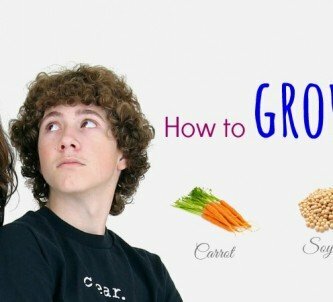 Soak in this solution for 18-20 minutes once every day. Alternatively, take around 1-2 tsp of apple cider vinegar (ACV) and mix it in 1 glass of water. Thereafter, add some honey along with lemon juice to enhance the taste. Finally, consume this mixture around 3 times daily. Another option is diluting ACV with an equal quantity of water. Later wash the affected skin with the help of this water two or three times in a day. Follow any of these simple methods daily until the condition improves. First of all, you take 2 tbsp of cornstarch, 2 cups of oatmeal and enough water. Later mix them together to form a desired paste. Afterward, use the resultant paste to apply on the affected skin region for around 20 minutes. Finally, use lukewarm water to wash this application off and follow once daily. Alternatively, you take 2 cups of ground oatmeal and 1 cup of baking soda. Later combine these ingredients together. After that, take a bathtub and fill it with warm water. Now add this prepared mixture to the bathtub and stir it well. Finally, soak in this resulting water for at least fifteen minutes. Your condition will be improved by enjoying this soothing bath twice every day. Green tea comprises the polyphenols that can reduce inflammation caused due to hives. Additionally, green tea consists of antioxidant and antihistamine features, which will treat the condition from its roots. So, green tea remedy is one of the good home remedies for hives you should try. Prepare green tea bags, a tsp of honey, and a cup of hot water at first. Then, steep the tea bag in one cup of hot water for several minutes. Add the prepared honey to this and drink while warm. To fight against hives quickly, consume 2-3 cups of green tea a day. 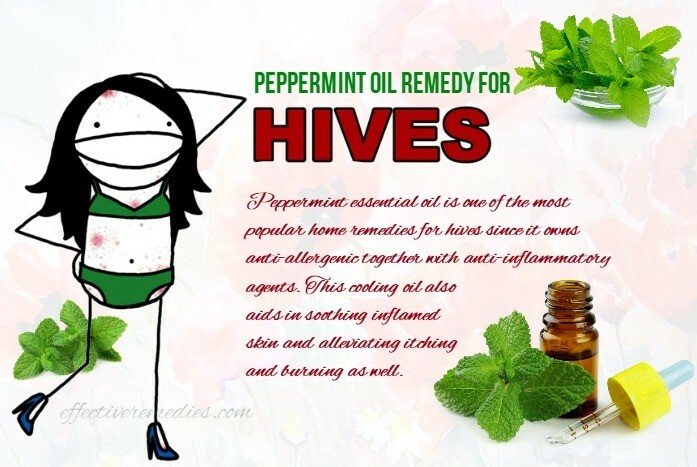 Peppermint essential oil is one of the most popular home remedies for hives since it owns anti-allergenic together with anti-inflammatory agents. This cooling oil also aids in soothing inflamed skin and alleviating itching and burning as well. It’ll help to heal the hives in no time. For this remedy, you mix peppermint essential oil (5 drops) with pure distilled water (1 cup) in 1 small spray. Next, cap this spray and then, shake well. After that, spray the affected region as needed. This will eliminate pain and itching related to hives. 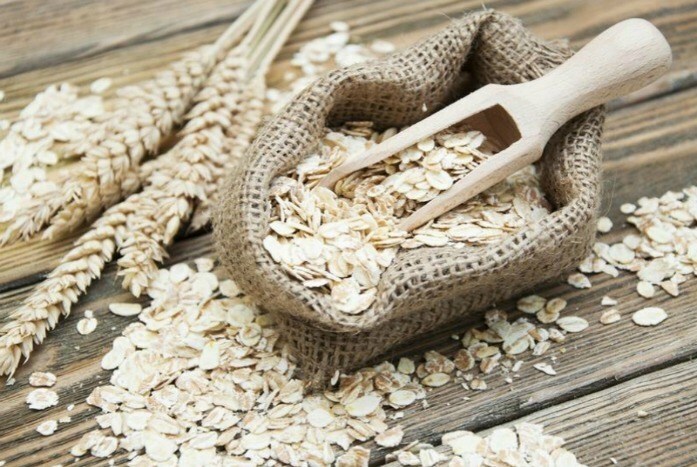 For best results, you add lavender essential oil (6-7 drops) and oatmeal (1 cup) to a warm bath. Late stir well with the aid of your hands and after that, soak in it for 30 minutes. This will give relief to itchy and painful hives. Basically, lemon oil has antiseptic agents that help to soothe inflammation and irritation. Being enriched with antiseptic and antioxidant features, lemon essential oil is also a great cure for hives, particularly hives triggered due to insect bites. For best results, you mix this citrusy essential oil (few drops) in any carrier oil. Thereafter, you apply to your troubled area thrice a day. Stay away from direct sunlight to the regions of application because this oil may cause photosensitivity. Are you seeking for the natural home remedies for hives? 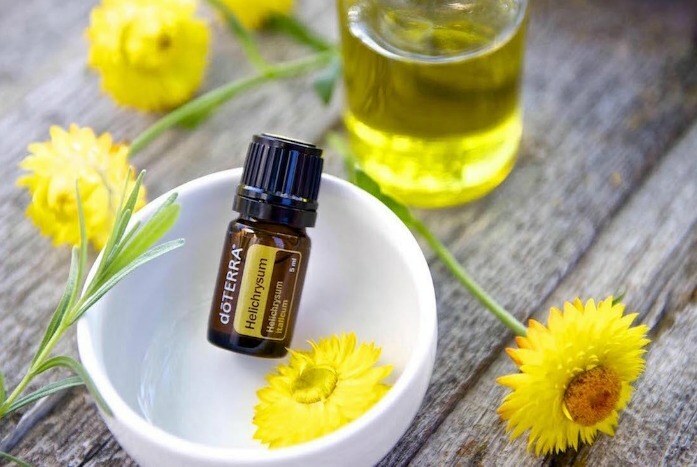 Then opt for the helichrysum essential oil. It’s a natural anti-allergenic having healing anti-inflammatory qualities, so it can combat the hives effectively. It’s especially healing for hives triggered by bug bits. For this remedy, you mix helichrysum essential oil (6-7 drops) with aloe vera gel (2 ounces). Later apply this resultant gel to your affected part as needed and this will quickly relieve itching or inflammation related to hives. Avoid further skin irritation by wearing smooth-textured, loose cotton clothing. You need to lower stress because it can make the condition worse. Stress is the cause of hives that can make them worse. You can reduce stress by practicing yoga, meditation or progressive relaxation or drinking a cup of chamomile, catnip or valerian tea. During an outbreak, avoid hot showers and baths. You need to increase the quantity of vitamin C in your regular diet to prevent hives and promote your immunity. 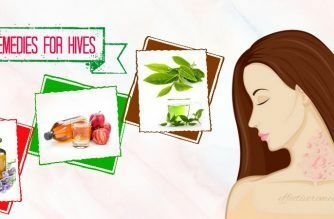 All the above tips and remedies will help to decrease the intensity of hives. Try them, and let us know which remedy worked best for you. 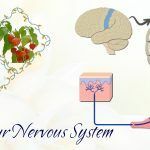 However, if your symptoms prolong for more than a week or are accompanied by painful swelling of lips, tongue, or inside the throat, dizziness, breathing trouble or tightness in your chest, you immediately seek medical attention.